Supports 12 systems (nodes) in a 3U Rackmount unit. • Can be mixing with different kind CPU per module acting as individual computer. 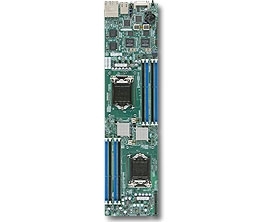 • or Non-ECC unbuffered DIMM for Core i7/i5/i3 configuration.